Basketball has lost a legend. Tennessee has lost a daughter. 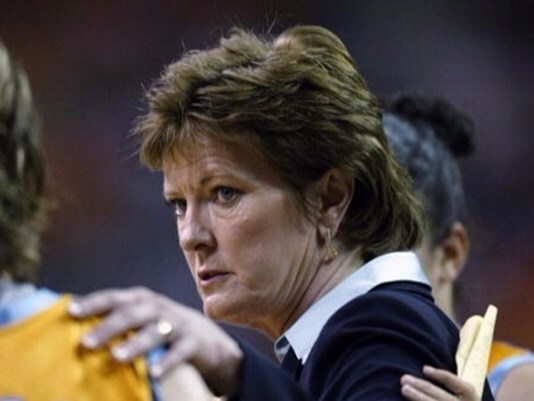 In the hours that followed the announcement of University of Tennessee Lady Volunteers basketball coach Pat Summitt’s death, well-wishers have set social media circles, radio talk shows and television reports ablaze. Her name is trending almost everywhere. People across the city, the county, the state, the nation and the world are honoring, praising and remembering the trailblazing Summitt for her accomplishments both on and off the basketball court. The thoughts comes from her family, her friends, teammates, opponents, colleagues, acquaintances, people she barely met and people she never knew. The theme is constant: People are saddened; her character was beyond reproach; she won’t be forgotten. Tributes emerged throughout Tuesday, from President Barack Obama to educators, athletes and longtime friends. See full story RIGHT HERE.